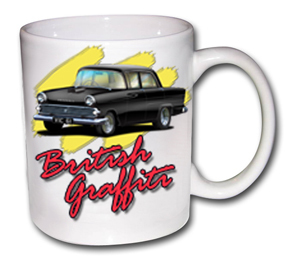 Please specify what year your car is so we can create an accurate image, using the correct trim. Ideally, if you send a photo, that will be a great help! 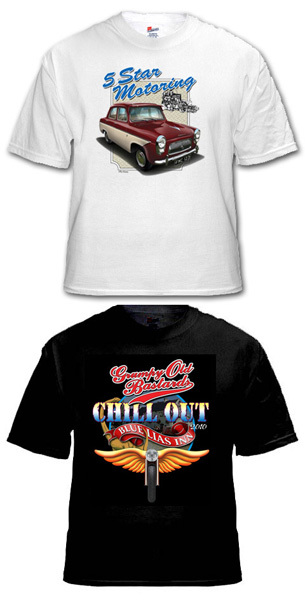 Also available are designs for car shows, rallies etc. See the Twin Lakes shirt, or Three of a Kind design. Postage rates are for UK Mainland. Overseas postage rates available on request. If you would like to commission a picture of your car, that isn't amongst the range I have on offer here, I will be pleased to quote you for producing artwork for you. Prices include the cost of producing the artwork and the print. If you would like your design printed on more than one product, or if you want more than one copy made, prices will be less pro-rata, as you only pay for the artwork once!! All artworks can be printed onto large size, box framed canvas too.